This is a frost free design so there is no need to manually defrost the unit. Allows for left or right hand opening. You can decide what best suits your kitchen. CHiQ's Multi Air Flow System ensures chilled air reaches each shelf quickly and uniformly to allow food to stay crisp for longer. The elevation of both front feet can be modified for your convenience. Elegant in appearance, safe to use, and easy to clean. With plenty of wall brackets, this fridge offers adjustable shelving heights, giving you the flexibility to suit your needs. The CHiQ CTM262S Refrigerator was added to the Refrigerators category in April 2018. 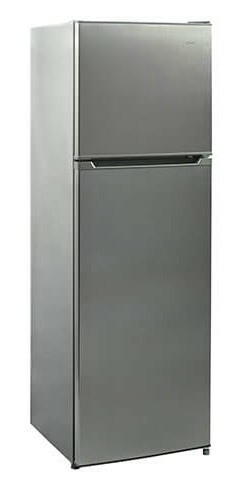 The lowest price GetPrice has found for the CHiQ CTM262S Refrigerator in Australia is $566.00 from Billy Guyatts.